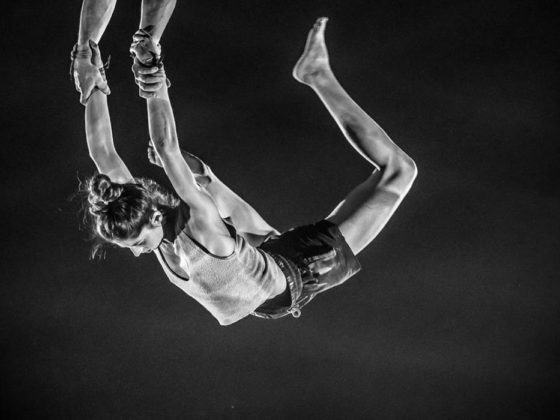 “Talk Show” is both performance and conference, giving us a look into the world of circus artists and their transformed, halted or reinvented careers. 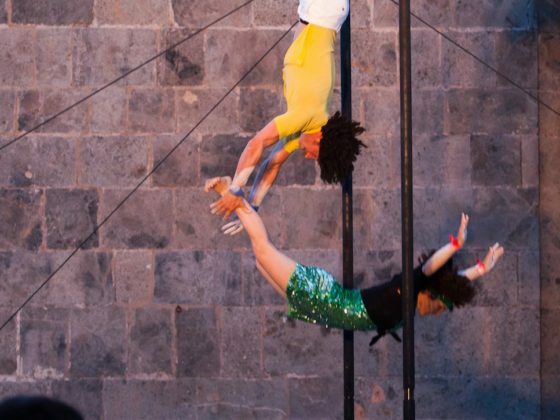 How do we imagine life ‘in the circus’? We’ll show the reality on stage: deceptions, euphoria and frustrations. Confessions and opinions are shared. The artists are candid – without censorship – but not without humor as they “tell it how it is”. 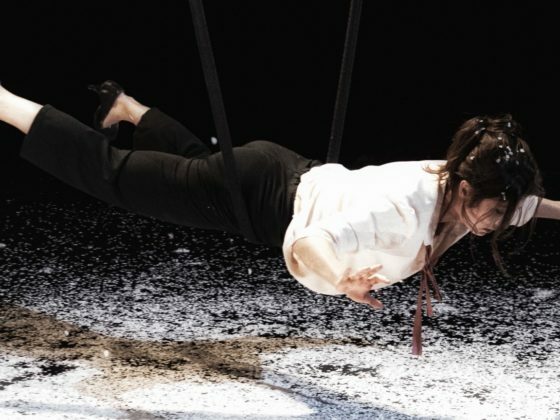 Much as life is a series of successes and failures, the circus proves ideal to consider questions about age, obsolescence, evolution and ways of successfully negotiating life’s twists and turns. Gaël Santisteva (born in 77) is a french creator and performer based in Brussels since 2007. 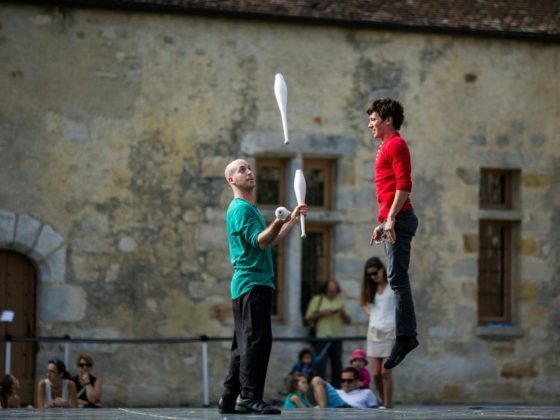 He has had an intensive circus practice in his youth before becoming a student at the Centre National des Arts du Cirque of Chalons en Champagne from which he graduated in 2001 with a specialty in the Russian swing. He has always been very passionate about movement and theatrical art forms and turned naturally after his studies towards companies who were oriented in choreography, theatricality and performativity. He has been working for the past 15 years as a performer with various artists in the field of dance, performance, dance / theater and musical theater. Circus did not leave his mind or body, it is even what strongly constitutes the unique character of his personality on stage. After many years of reflection and being in contact with different creators, he decides to start a personal research which leads him to the creation of pieces marked by his identity. He also continues artistic collaborations as a performer in projects that engage in questioning and renewal of his artistic vocabulary. 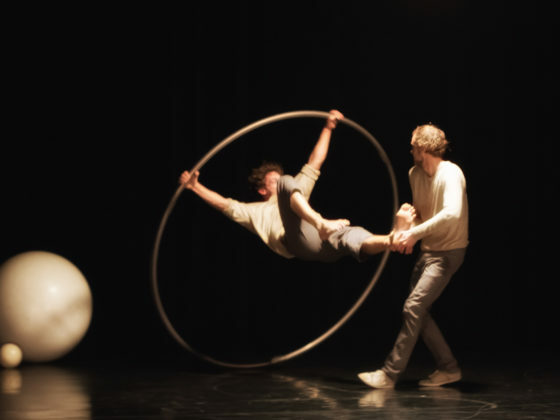 He has worked as a performer with Philippe Decouflé (France), Jean-Marc Heim (Switzerland), Les Ballets C from B-Koen Augustijnen (Belgium), Cie Zimmermann / De Perrot (Switzerland), Eleanor Bauer (USA) /Belgium). He has created with Lara Barsacq two performances at the Tanzhaus in Zurich: Tonight, I love you (2012) and The Hide Show (2014). In 2016 Gaël Santisteva co-created the Gilbert & Stock company with Lara Barsacq. Their artistic complicity pushes them to build a common structure while keeping an identity of their own. The dialogue and exchange of ideas about protean artistic attempts allows them to develop separate and independent personal projects. The Gilbert & Stock structure has the primary vocation of a “Think Tank”, transforming itself into a production and distribution structure when a project takes shape more precisely and is in the need to exist. It is therefore in parallel tuning that Lara and Gaël draw their respective creative paths. In 2017 he created the piece Talk Show who has started to tour in France and Belgium during the season 2018/19. 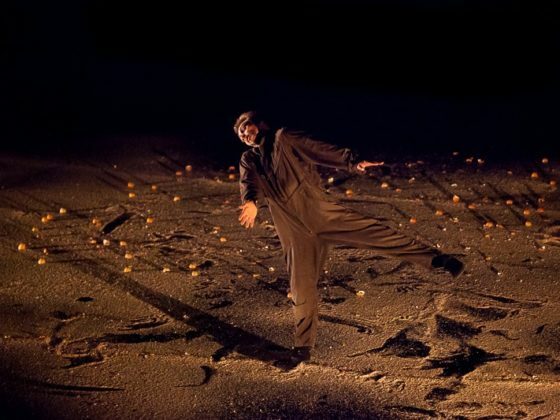 Walking the Line by choreographer Benjamin Vandewallle, curently on tour. New Joy a new performance by Eleanor Bauer , premieres on 23rd Feb 2019 @Schauspielhaus Bochum-Germany. Lost in Ballets russes a solo performance by Lara Barsacq who premiered in April 2018 @la Raffinerie-Charleroi danse in Brussels.